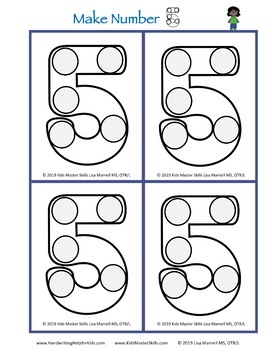 This 20-page fine motor resource reinforces number sense as children count objects. 4 hands-on activities promote the development of visual and fine motor skills! 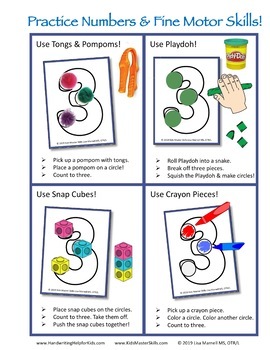 Kids make numbers with tongs and pompoms, Playdoh, snap cubes, and crayon pieces. * Fine Motor Templates for numbers 0 to 12. * Templates for addition, subtraction, and equal signs. * Completed math example page. * Two information pages entitled: “About Fine Motor Skills”. 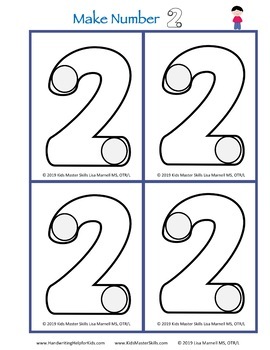 * Printable signs for each of the four fine motor skills. Follow me, Lisa Marnell, an occupational therapist, on FACEBOOK for the latest in learning and skill development! 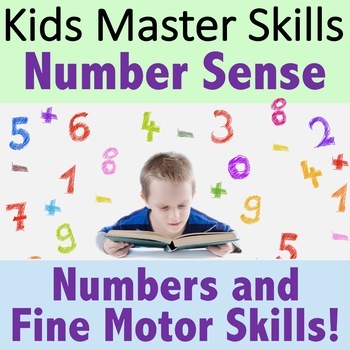 Visit my website at KIDS MASTER SKILLS for skill-building activities and information on the latest research on child development and learning!